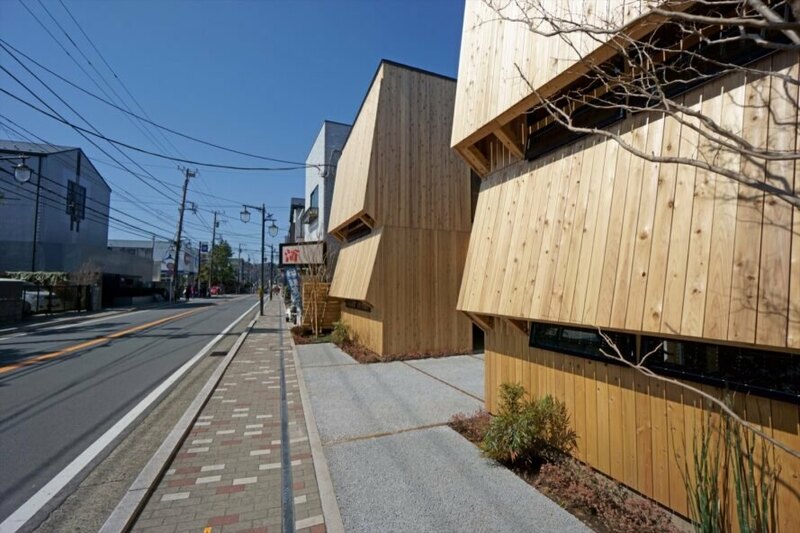 Local architectural firm Yuji Tanabe Architects recently completed twin timber buildings on a historic street in the Japanese city of Kamakura. In deference to the existing street architecture and the city’s Great Buddha landmark, the buildings feature a double roof facade with proportions inspired by traditional Japanese shrines. 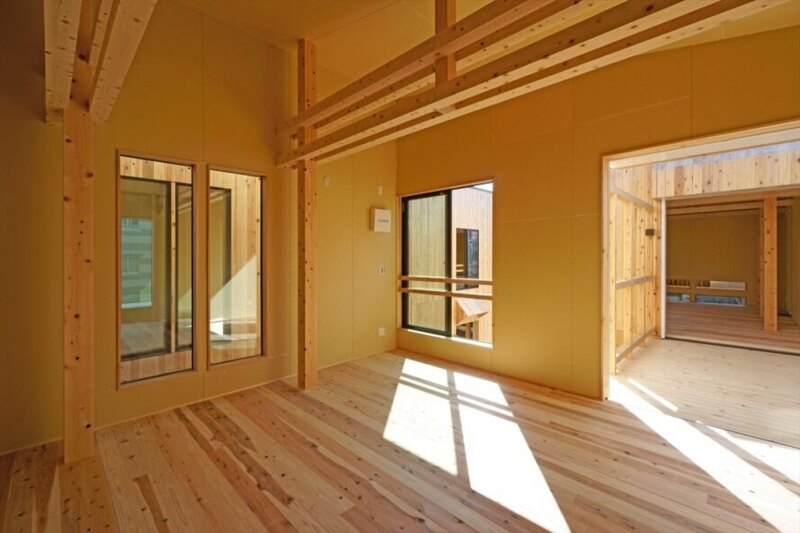 The project, dubbed SASAMEZA, is built of locally sourced timber to reduce embodied energy. Built for commercial use, SASAMEZA occupies a commercial block facing Yuigahama Street, a major transit corridor that connects central Kamakura to the iconic Great Buddha statue. Because the developers wanted the option to divide and sell the site once construction was complete, the architects split the property and created two buildings around a central courtyard. 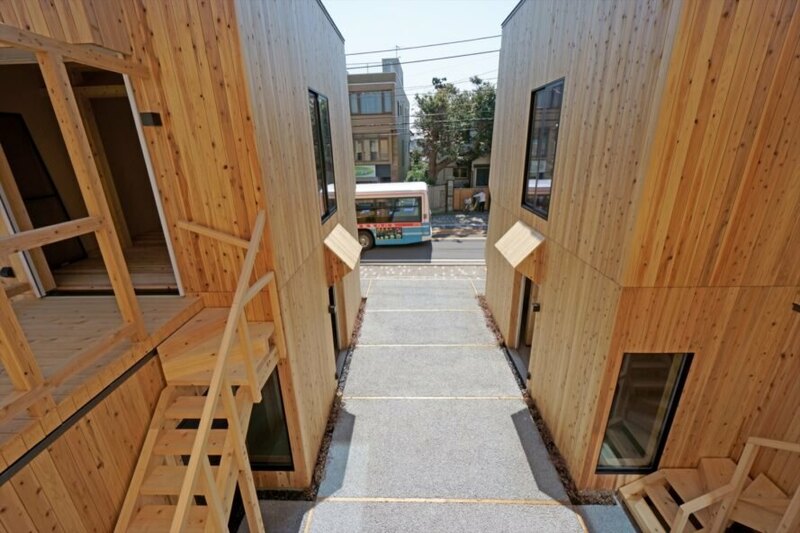 Each building is approximately 970 square feet in size, and they are near mirror images of one another. Due to the nature of the plot, the building on the right has a slightly different shape. 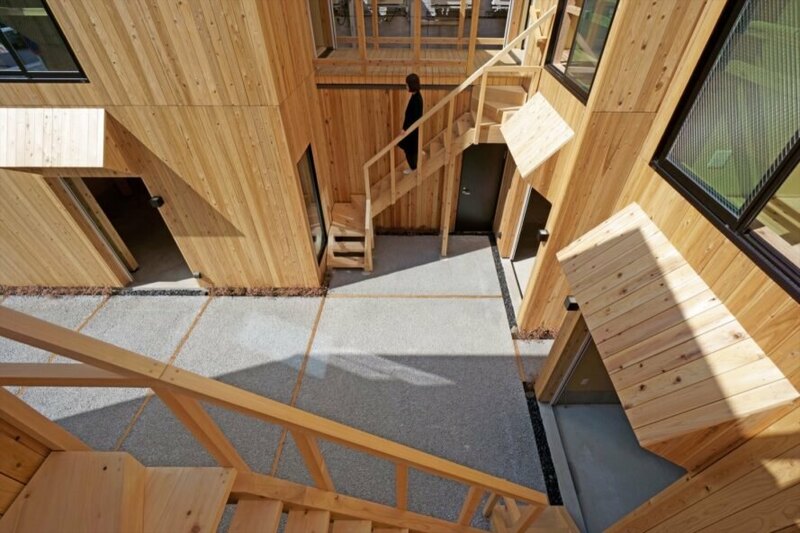 Designed with the environment in mind, the architects used timber procured from a mountain forest in Kanazawa Prefecture’s Hakone area. Along with the client, a forester and a builder, the architects visited the forest in person and selected and harvested the trees that would later become the columns and beams, all which are exposed and unpainted. 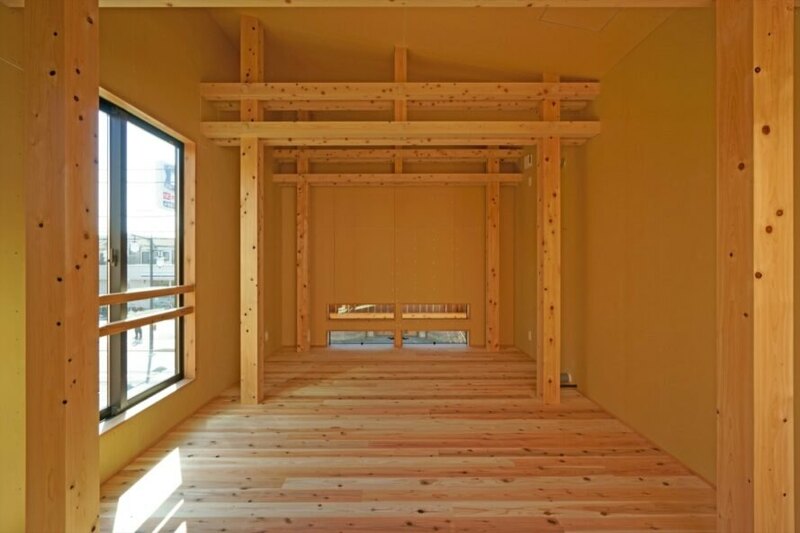 Japanese wood joinery and fastening methods were applied so that the timber elements can be reused. 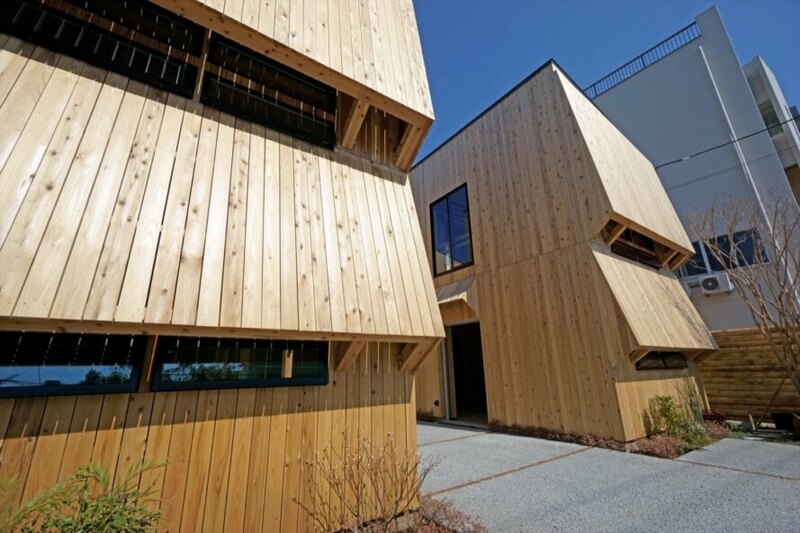 Yuji Tanabe Architects designed these nearly identical wooden buildings in Kamakura. The structures sit on a historic street in the city. The design emphasizes locally sourced timber. The buildings are nearly identical in appearance and layout. The design is kept humble to respect the nearby Great Buddha statue. The buildings were separated to easily sell to different property owners. The twin buildings surround a shared central courtyard. The courtyard will be a communal space for people to socialize. Sliding glass doors lead to an outdoor space with a rustic fence for privacy. The buildings provide direct access to a popular, iconic area. The structures pay homage to traditional Japanese shrines.